This is a question I get all the time, and while some people might be offended by it, I am happy to answer. Not because I make tons of money from my blog, but because I believe in honesty in blogging. 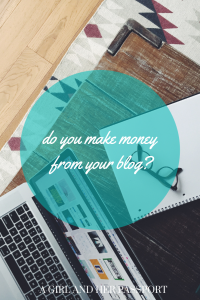 So do I make money from my blog? Unfortunately, the answer isn’t that simple. Directly, I make very little from the blog. I have affiliate links scattered throughout the blog. The sales usually come hotel bookings, car rentals, and Amazon. These do not make me a big commission, however. Of course, it would be great if I did make more money from these affiliate links. I do not have a big enough audience to get paid to write about my experiences on my blog. However, I didn’t set out to make money from my blog when I started. Indirectly, I do make money from my blog. The blog has presented me with opportunities I wouldn’t have had otherwise. It started out as sharing my blog posts on other platforms and have made small amounts of money here and there from that. I am still getting some commissions from these, but again they are small, and they usually required a minimum amount before I can receive the payments. I have also received some free hotel stays as a result of my blog but never had payment in addition to the stay. Now I am writing for other sites and getting paid for it. I also help other bloggers and business owners help other bloggers and business owners with their blogs and websites. Much of this revolves around making sure their sites are running optimally and seeing that their content is searchable via Google. In addition, I help manage some small business social media. All of this has come about from my blogging. I have taught myself so much about writing, the technical side of blogging and social media in the past six years. While I never set out with this to be the goal, I am happy to say now that I am loving what I do and hope to see what it can bring me in the future. I am now working remotely as a result and will be trying out the digital nomad lifestyle starting this weekend! All bloggers are different, some have no intention of ever monetizing their blogs. In the beginning, I didn’t either. However, the costs of running a blog do add up. Most, like me, realized that the blog could pay for itself with a lot of hard work and determination. I enjoy blogging and wouldn’t continue to do it if I didn’t. I have taken my fair share of blogging breaks over the years. Many bloggers to do make money from their blogs and social media. Some make their living blogging! I wish I was at that point. They do this in several ways as well. They have affiliate links, sponsored posts and bigger bloggers will have deals with brands. 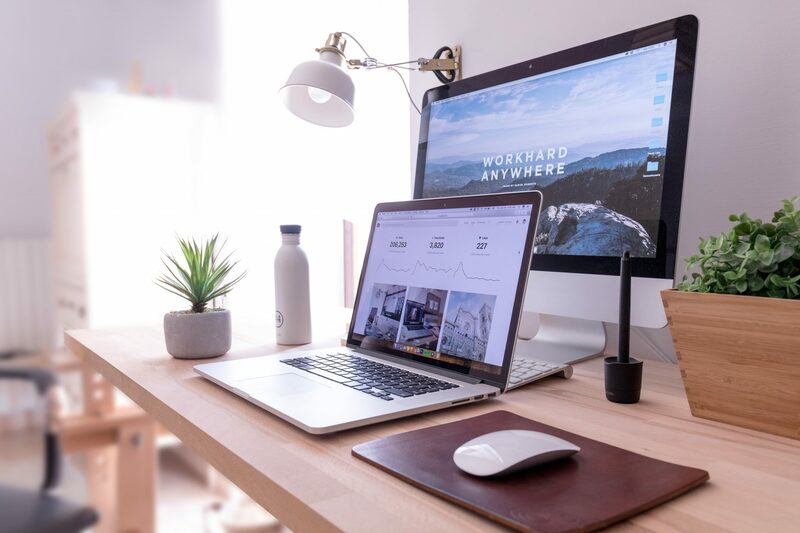 Travel bloggers that have larger audiences make money by going on press trips and writing about the experiences on their blogs and sharing on social media. Hopefully, the bloggers you follow are telling you they are on these trips because you deserve to know and in most countries, it is the law now. I think a lot of people ask because they want to know if what they are seeing is real. If you are reading my blog, I can guarantee it is. For other bloggers, I think you can figure it out if you have followed them for a while. It may be more difficult if they are new or you haven’t followed them for a while. If you really want to know, just ask! Genuine people will tell you the truth. If you feel that a blogger’s article has helped you in some way, support them! Buy the product you loved that they share with their affiliate link, it doesn’t cost you extra. Book the hotel they recommended with their link. Leave a comment or share. Any kind of support, whether financial or not is helpful. I for one love comments and interaction. Of course, I would love to make money from the blog but I also want to know you are loving the content or that it helped you. That is my ultimate goal! Let me know if you have questions about this or anything else about blogging! I will be happy to answer. Interesting post. We just blog as a hobby and never planned to try and make any money out of it even though we have been approached several times. I don’t like overly sponsored blogs though, it always appears very obvious that the post isn’t 100% natural but written for a sponsorship reason. Thanks. I haven’t done one yet as the topics they want never fit my blog. Glad that you posted this – it is always an interesting question. I wouldn’t mind making some money from my blog, but realise that it will take some effort from me on the technical side. This is a good reminder to be a bit more proactive! Also, I know that the writing of it is the foremost thing for me, so to keep that perspective front and centre is very necessary. I’m delighted with the way my blog has influenced my writing these past couple of years! Thanks. I don’t think starting out that making money from a blog should ever be ones goal. It is a lot of work so you need to be passionate about it from day one which may be hard if you only want to make money from it.